AYLE is a furniture design company located in the district of Porto, Portugal, where this industry has a long, rich history and retains a important presence. 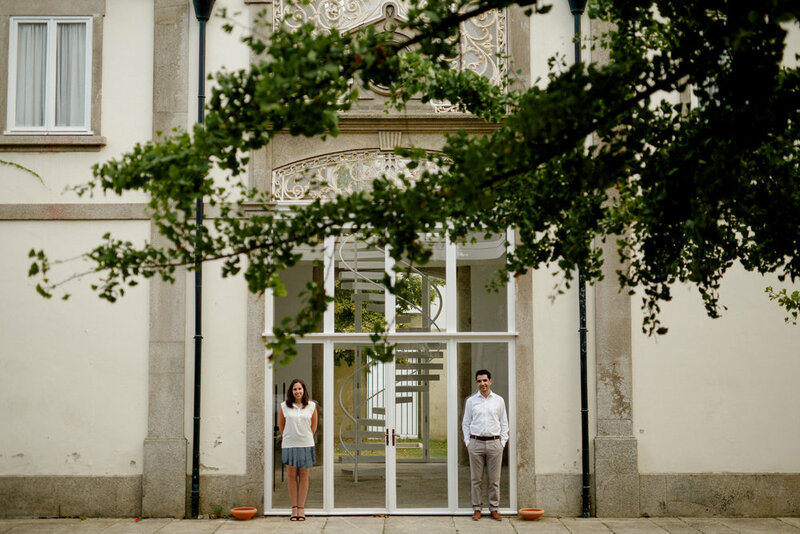 Patrícia and Pedro, founders of AYLE, are partners in both professional and personal life, and the brand was born from their interest in art and design. The difficulty in finding timeless, elegant and affordable furniture for their own house inspired the first impulse in their desire to create unique pieces. Founded in 2017, the line they are developing consequently culminates in pieces that they themselves love and use in their own life. We are living in an era of profound and rapid changes, where nothing seems built to last. AYLE arises against this unsustainable cycle, seeking to create truly durable furniture. Completely ignoring fads and trends, AYLE seeks only elegance and timelessness. To attain this goal, each piece is designed not as a mere sum of parts, but as a logical structural and volumetric system. A strong idea that seeks to explore the finest characteristics of carefully-chosen materials. Every piece reveals itself as a whole; well thought-out, discreet but graceful. By working with experienced local craftsmen, we are able to control the smallest details. Thanks to these intimate relationships, AYLE pieces also incorporate decades of experience, enabling us to ally our distinctive design with fundamental durability for a lifetime of continuous use. Patricia has formation in two quite different but complementary areas for AYLE. Her training in art and photography made her embrace AYLE as a personal project, where she is responsible for the photography. While her bachelor's and master's degree in biological engineering from the University of Minho and consequent professional experience as director of production and research took her to lead AYLE's logistics. Pedro is an architect by the Faculty of Architecture and Arts at the Lusíada University of Porto. He founded his own office in 2012, where he has been developing architectural projects of varied themes and more theoretical works, having already been distinguished with several awards. AYLE emerges as an extension of his office and as an opportunity to explore the design and architectural theories that he has been developing over the last few years.